If you have low credit scores and banks have rejected your application, you might be wondering, “where to buy a car with bad credit in NC?” You may go to dealerships that offer financing services for their vehicles. Where to Buy a Car With Bad Credit in NC? Visit Auto Store. 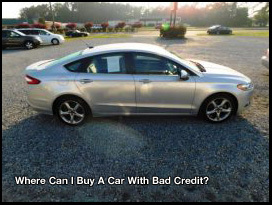 Are you thinking of where to buy a car with bad credit in NC? Look no further if you are asking where to buy a car with bad credit in NC. We offer car financing through our company, Key West Financial. Our dealership also provides competitive rates and different payment options to make things convenient for our customers. Auto Store is the answer to the question “where to buy a car with bad credit in NC?” Through our financing services, our customers can purchase quality used cars, trucks, and SUVs. Knowing where to buy a car with bad credit in NC allows you to plan your finances accordingly. Look for a dealership that reports to major credit bureaus if you are looking where to buy a car with bad credit in NC. This will give you an opportunity to rebuild or improve your credit score especially whenever you make on-time payments. Auto Store reports to three major credit bureaus: TransUnion, Equifax, and Experian. Where to buy a car with bad credit in NC? Choose Auto Store. Auto Store, with locations in Greenville, Greenville North, Farmville, and Wilson, NC, sells vehicles from known car manufacturers. If you are thinking “where to buy a car with bad credit in NC,” look no further than Auto Store. Our dealership offers high-quality secondhand vehicles. We sell low-mileage vehicles, making us the ideal place to go to if you’re asking where to buy a car with bad credit in NC. We perform a 38-point inspection on our vehicles, wherein we examine vital automotive parts, such as engines, brakes, and transmissions. Consider the quality of vehicles if you are searching where to buy a car with bad credit in NC. Check if the dealership offers warranty before you decide where to buy a car with bad credit in NC. Where to buy a car with bad credit in NC? The answer is simple: Auto Store. Why? Apart from selling well-maintained vehicles, we offer a standard 30-day or 1,000-mile warranty on all of our vehicles. With our Auto Store Care Protection Plan, customers may also opt for either a 12- or a 24-month extended warranty. Where to Buy a Car With Bad Credit in NC? Contact Us Today! If you’re planning to off-load your car, why not sell it to Auto Store? By letting us buy your vehicle, you won’t need to worry about advertisements, picky buyers, and test drives. You can also enjoy a fuss-free, fast, and reliable service and get your ride sold on the same day. Take our money, give us your car. Are you planning to get a new vehicle? Browse our collection of various makes and models at Auto Store! Through hassle-free transactions, we help car buyers get the ride of their dreams while saving money. Contact us today. To learn more about our company, visit our website.